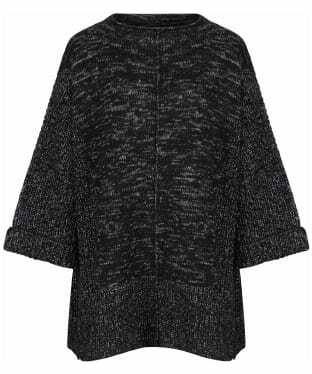 The Women's Barbour Malvern Cape is a feminine knit created in cotton-blend nepp yarn with a textural reverse-knit structure for not only a comfortable feel, but also a stylish look that you are sure to love. 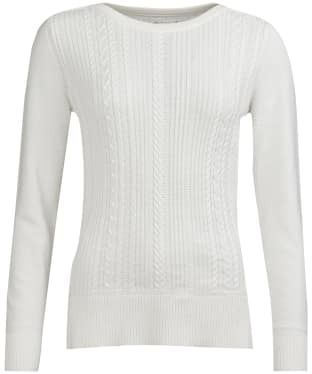 Featuring a cosy funnel neck and linked-seam detailing to both front and back, it's finished with side-entry pockets and button fastenings for a secure fit. 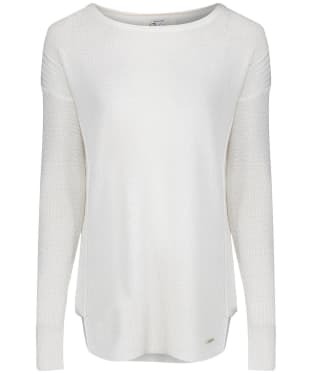 This soft and versatile piece layers easily over both smart and casual outfits for timeless elegance. 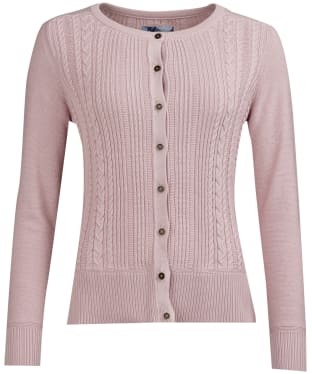 Add a touch of warmth to your look with the Women's Joules Skye Cardigan. 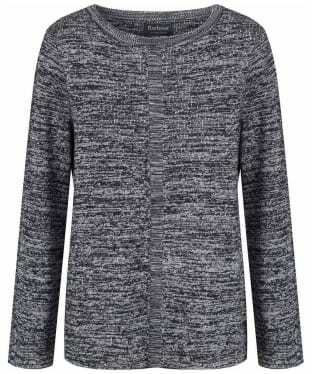 A wardrobe essential for any stylish lady, this timeless cardigan is perfect no matter the occasion, and has been crafted with a ribbed neckline, cuffs and hem for a feminine flattering finish. 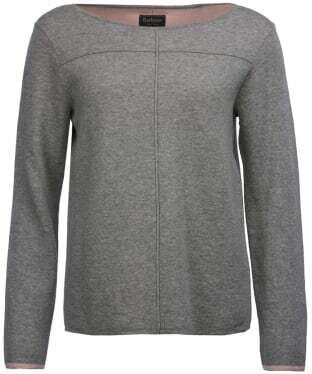 The Women's Dubarry Enniscoe Wrap is the perfect wardrobe staple for this season and beyond, boasting a heathered yarn to create a beautiful finish you are sure to love! 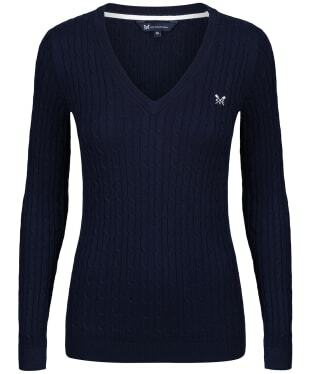 The Dubarry Enniscoe offers you an ease fitting cover up which will drape beautifully from your shoulders. 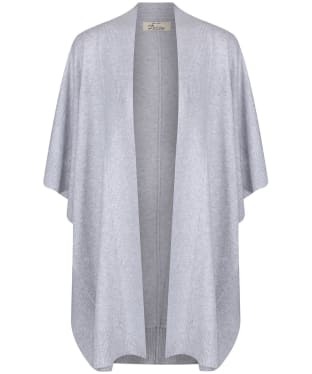 This beautiful wrap has been crafted from a blend of cotton and nylon to offer you a comfort yet durable wrap you can wear over and over again. 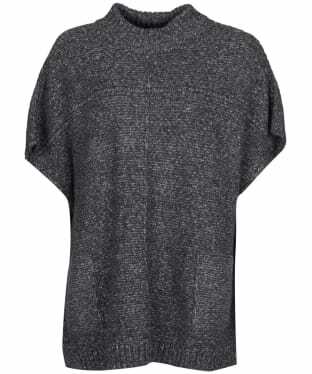 This one-size fits all wrap is perfect whether you are heading to the town or country! 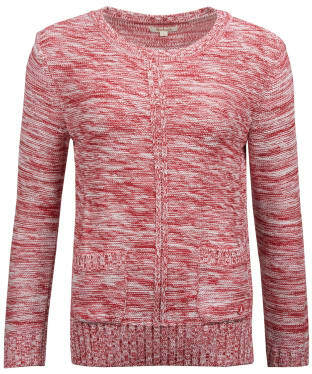 The Women's Barbour Causeway Knitted Cardigan is a neat fitting, cable and rib textured cardigan designed to keep you looking on-trend through this season and beyond. 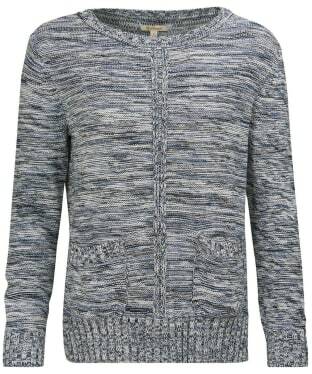 Perfect for placing over your favourite Barbour tee or shirt, this cardigan will offer a touch of warmth on those chilly days. 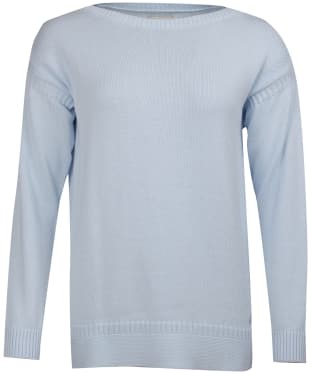 Crafted from 100% cotton, we know that you will love the super soft, comfortable feel of the Causeway, designed with open side vents for ease of movement. 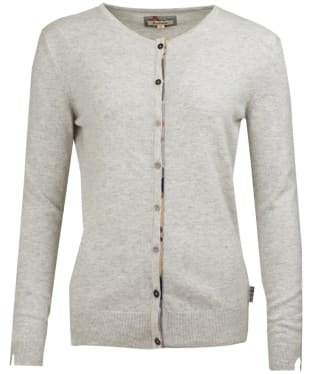 The simple crew neckline makes this cardigan easy to wear no matter what the occasion. 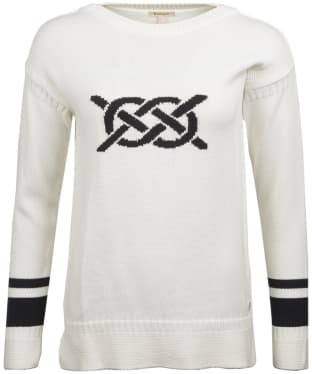 Perfect for adding warmth and style on those chilly days, the Women's Crew Clothing Fairisle Jumper has been crafted from a super soft wool mix for a cosy feel that you are sure to love. 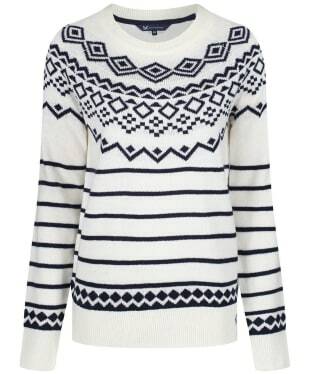 Super soft and comfortable, this jumper boasts a pretty Fairisle design for a seasonal look that is sure to keep you on-trend. 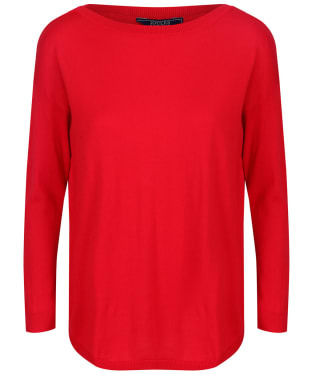 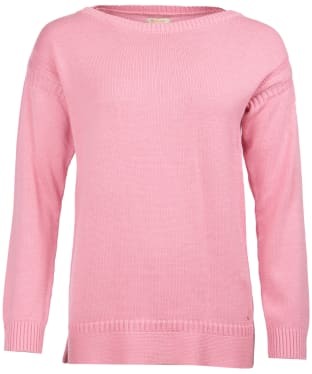 Featuring a crew neck, this jumper is easy to wear and has a ribbed collar, cuffs and hem for a neat, flattering feel. 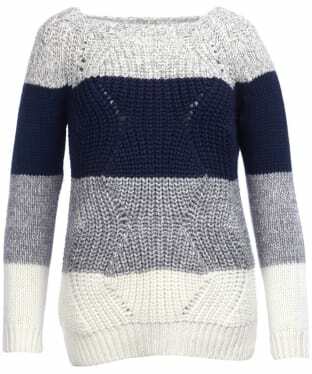 Pair with your favourite jeans, Crew jacket and boots to complete your fashion forward look with ease. 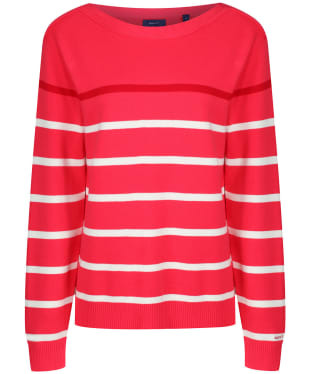 The Women's Joules Kerry Jumper is perfect for layering under your favourite Joules jacket to keep you warm on those cooler days. 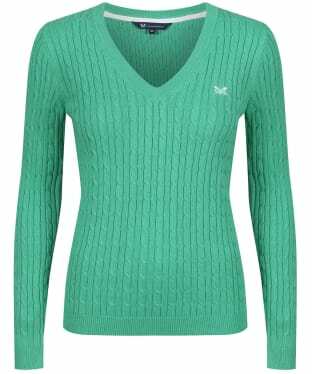 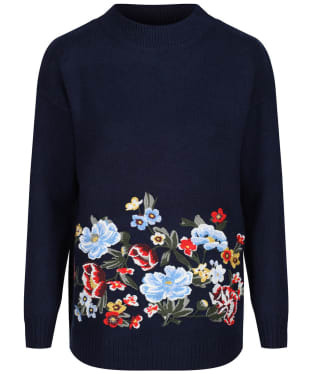 This jumper features a wide boat neckline for a feminine, flattering feel and an on-trend look. 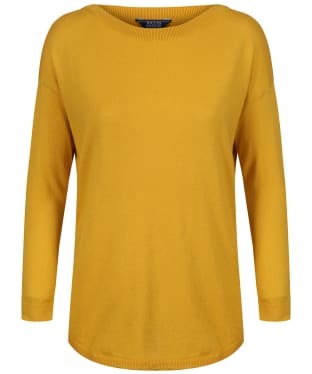 Super soft and comfortable, this 100% cotton knit has been designed with a ribbed neckline, cuffs and hem to offer a more fitted finish to keep the chill at bay. 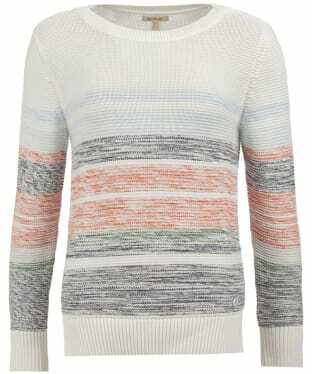 A new addition to the collection, the Women's GANT Breton Striped Sweater is perfect for pairing with your chinos or jeans to complete your smart, casual look with ease. 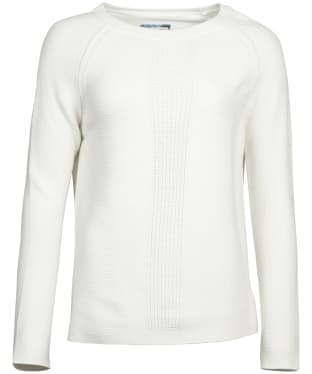 Crafted from 100% cotton to a milano knit structure, this sweater certainly has a soft, premium feel that we know you will love. 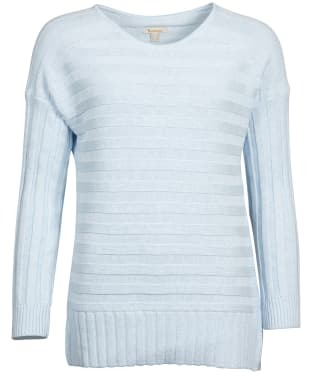 Sure to keep you looking on-trend through this season and beyond, the timeless striped design and beautiful boat neckline offer a figure flattering, feminine feel. 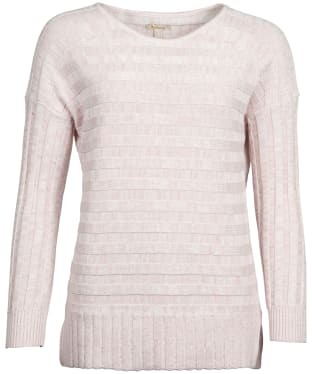 This sophisticated sweater boasts ribbing at the cuffs and hem for a neat finish. 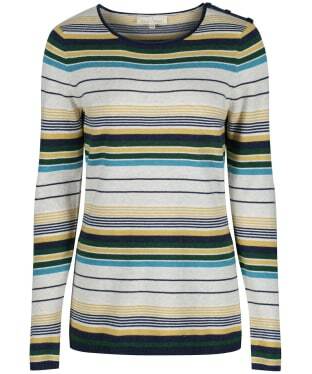 The Women's Barbour Aviemore Reversible Serape is a wardrobe essential for any stylish lady. 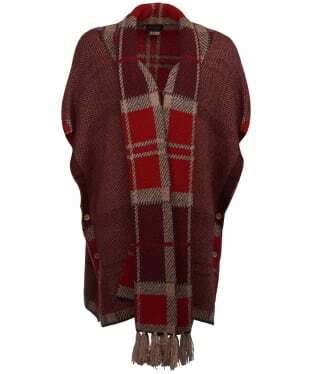 This luxurious soft touch reversible serape features large scale signature Barbour tartan design to one side and plain to the reverse, for a versatile feel. 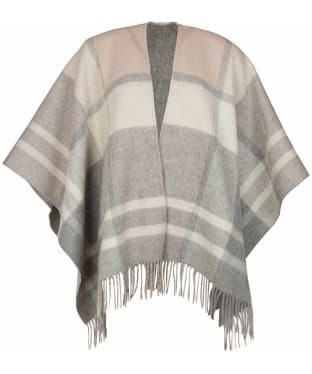 This stunning serape is hand finished with a tasselled hem edge for a timeless look. 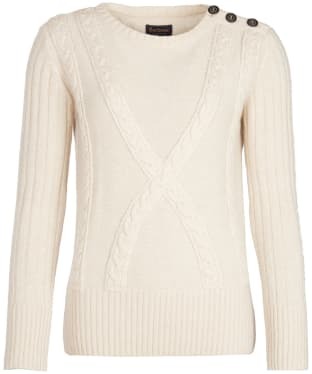 Add a touch of style to those casual days this season and beyond with the Women's Dubarry Woodford Sweater. 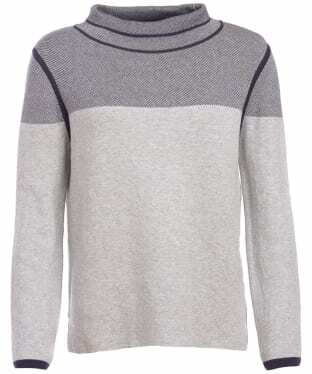 This beautifully crafted sweater boast an open knit design you are sure to love, offering you a cool and airy feel with a lovely textured finish. 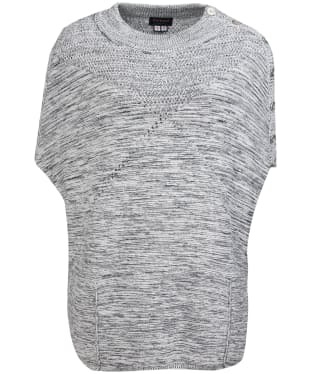 The loose fit style with dropped shoulder make this sweater perfect for those off duty days! 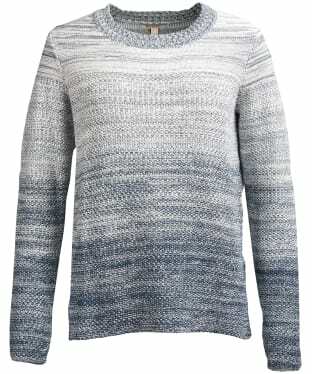 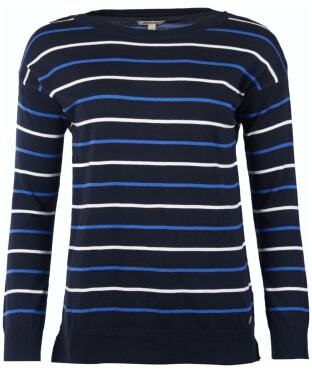 Team this sweater with your favourite pair of jeans to complete your casual look with stylish ease. 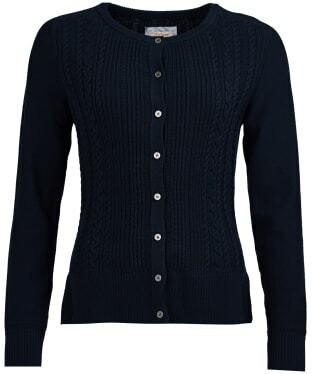 Perfect for placing over your favourite Barbour shirt or tee, the Women's Breedon Knitted Cardigan is sure to add warmth and style to your look. 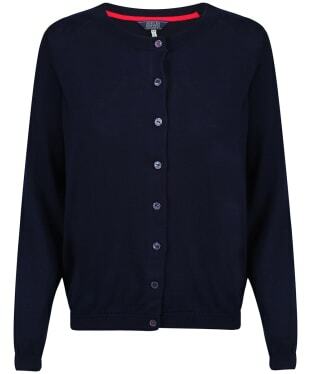 Created in cotton and blended with a touch of cashmere for a luxurious feel, this neatly shaped cardigan is detailed with contrast elbow patches and buttons through the centre front. 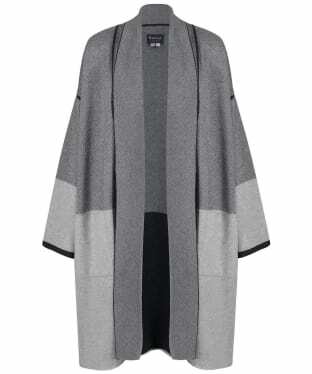 A wardrobe essential for any stylish lady, the Women's Barbour Ervine Knitted Cape is perfect for pairing with your favourite Barbour jeans and jacket to complete your on-trend attire with ease. 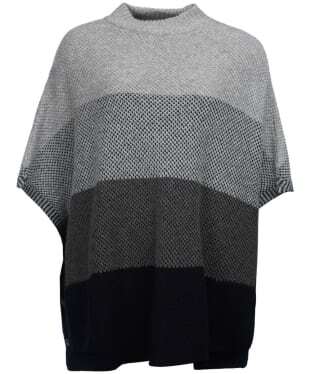 This cape-style knit is created in cotton with a two-colour blend and a bias block texture that delivers a flattering drape. Patch pockets enhance the casual appeal, while tartan-engraved shoulder buttons add a heritage-inspired finishing touch. 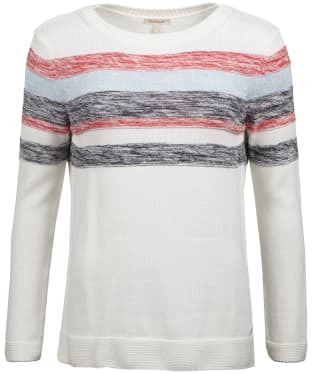 Whether you are spending the weekend relaxing at home or you're heading into town, the Women's Joules Saunton Funnel Neck Sweatshirt is perfect for pairing with your favourite Joules jeans to complete your stylish, casual look with ease. 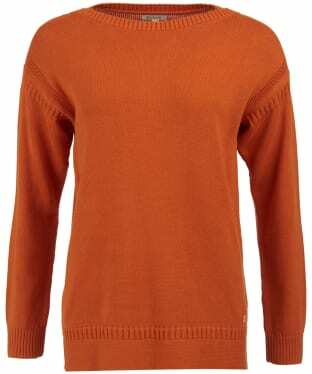 Super soft and comfortable, this sweatshirt has been crafted from cotton with an added touch of elastane for ease of movement. 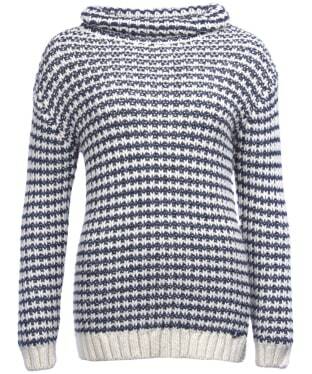 For a practical feel, the Saunton boasts a funnel neck that can be fastened up to keep those chilly winds at bay. 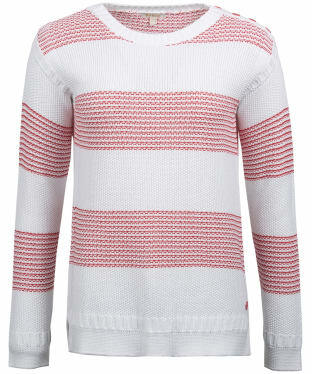 This on-trend layer is finished with a striped design for a timeless feel. 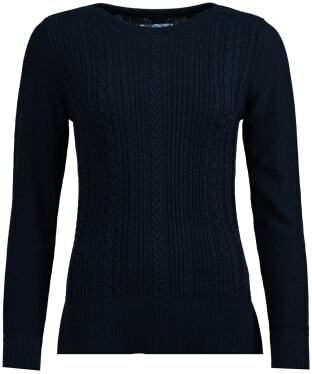 Perfect for staying warm without compromising on style, the Women's Barbour Deveron Knit has been crafted from a cotton blend for a soft and comfortable feel suitable for all day wear. 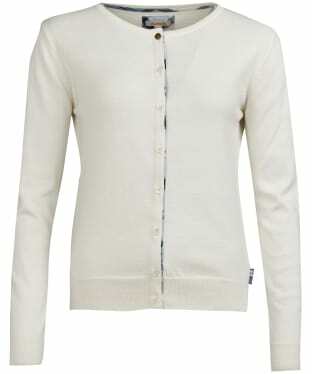 Featuring an impressive two coloured design, the cardigan features two patch pockets and the oval Barbour ID bar to the rear neck adding that final stamp of quality. 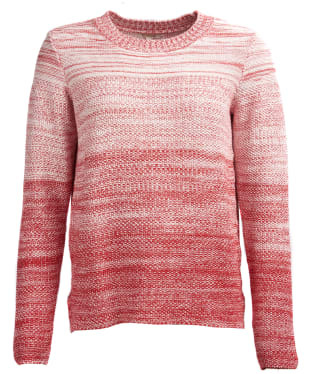 Wherever you are heading this season the Women's Barbour Deveron Knit allows you to layer up in style and can be teamed with your favourite boots and jeans for a timeless fashion forward look. 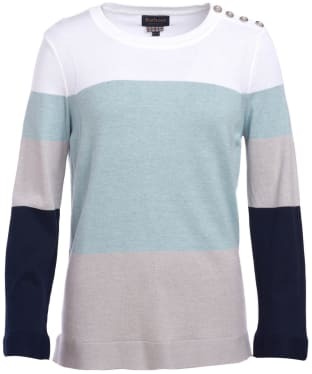 The beautiful stripe design made up of soft marl colours to the top of the Barbour Skysail Knitted Sweater adds a splash of colour to your everyday outfit this season. 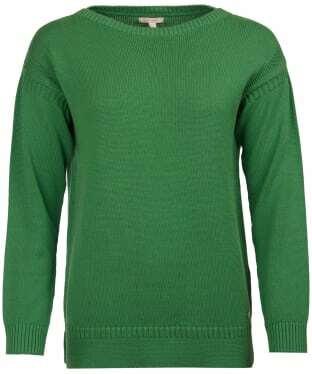 Complete with a wide boat neck to offer a flattering cut of all shapes and sizes, this 100% cotton Barbour sweater is finished with two side vents at the seam and a small beacon branding to the left hem. 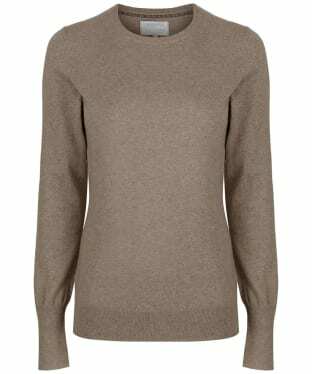 The elegant Women's Barbour Heather Cape is perfect for layering over your favourite tee or shirt to add a touch of warmth to your look without compromising on style. 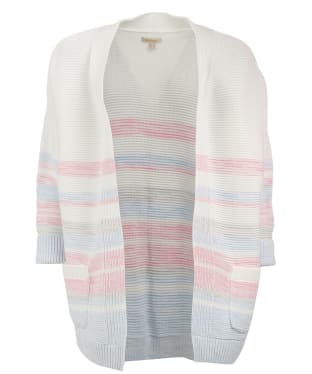 Cut from a Lamb's wool blend, the cape has been knitted into a four coloured wide striped design to produce a look you are sure to love. 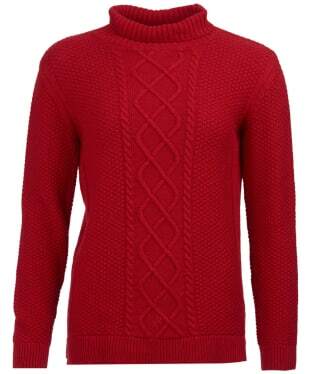 An oval Barbour branding bar to the rear neck concludes the look and adds that final stamp of quality. 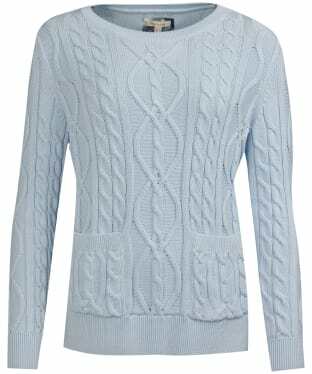 The Women's Barbour Carlton Knitted Sweater is perfect for those casual days this season and beyond, offering you an insulating and stylish knit you are sure to love. 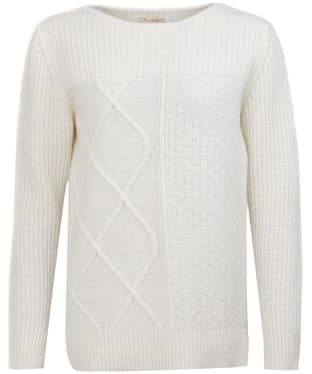 The Barbour Carlton features lattice and texture knit structures to give you an added touch of style and wearability. 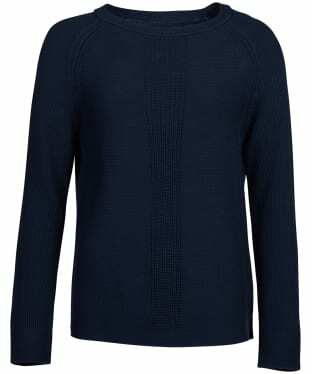 Crafted from 80% lamb's wool this knit offers you a soft feel and comfort all day long and features a subtle Barbour metal ID bar for that final stamp of quality. 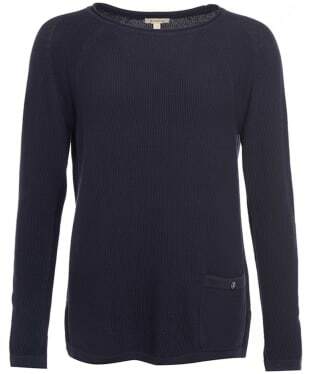 Featuring an elegant boat neck, the Barbour Marloes Knit is a soft, casual sweater with coastal influences. 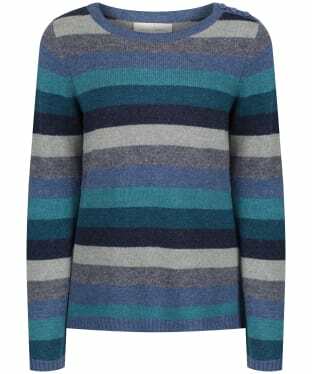 With a fine stripe, this long sleeve sweater is great for layering under your favourite gilet, and will look great with jeans and skirts alike. 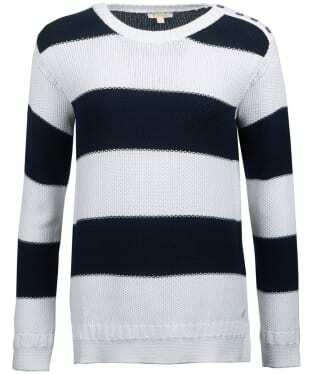 Dropped shoulders give this 100% cotton sweater a relaxed finish, while the ribbed hemline and cuffs offer a neat fit. 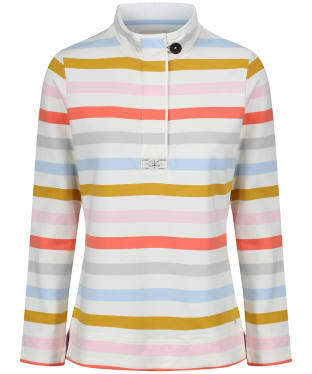 This easy-to-wear Barbour women's sweater is finished with a signature beacon badge to the hem. 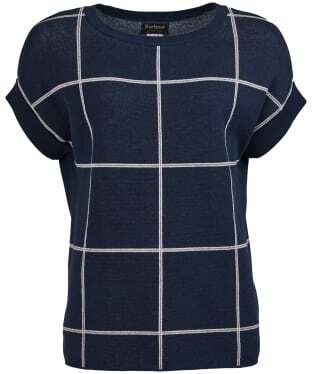 Great for the winter months, this Dubarry Fassaroe Wrap is a multifunctional scarf that is cut to a slightly large style so it can be worn draped around the shoulders for a soft winter look. 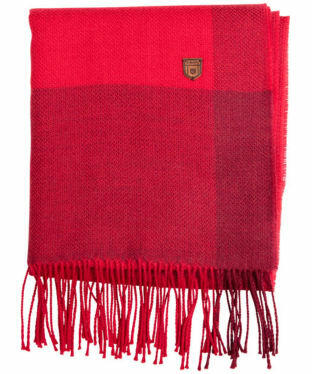 Crafted from 100% merino wool, this Dubarry scarf will make a great luxury gift for that special someone.